Every year on the weekend before Veterans Day, Denver comes together to celebrate its local and national heroes. In November, Colorado Veterans Project hosts Denver Veterans Day featuring four great events. 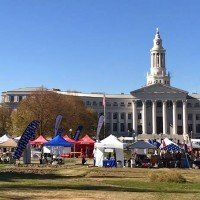 Denver Veterans Day Run is the “official” Veterans Day run as described by the Mayor of Denver. The 5K/10K is the only competitive run hosted entirely by uniformed military personnel. Starting and finishing in the heart of Denver, the Denver Veterans Day Run encapsulates the beauty of our great city and offers the community a fun and unique way to show their patriotism. The Colorado Fallen Heroes Memorial Commission and its sponsors read the names of those Coloradans killed in conflict. The Roll Call Reading is followed by a brief moment of silence prior to the start of the Denver Veterans Day Parade. Every year, Denver shows its true colors by crowding the streets to view the Denver Veterans Day Parade. The Parade segments are broken down similar to a timeline that represents different major conflicts in American Military History: Revolutionary War, Civil War, WWI, WWII, etc. Each conflict is chock-full of vintage military vehicles and uniforms that are representative of that era. 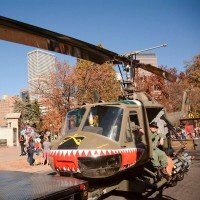 The Denver Veterans Day Parade is not only a great spectacle, but also acts as a refresher on our country’s military history. What better way to say “thank you” to our service members than to join together at a fun, family-oriented festival centered around our nation’s heroes. 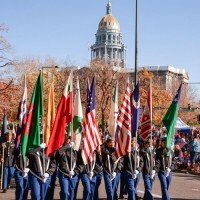 The Festival, held immediately after the Parade, allows spectators of the Denver Veterans Day Parade to join the Veteran participants for some food and fun. The vintage military vehicles in the Parade become static displays at the Festival for family viewing and picture-taking. The Memorial Day Run & March invites civilians, Veterans, and uniformed Military to challenge themselves in friendly competition, while helping local feed homeless Veterans. Memorial Day Run & March first started in 2015, and each year since then has turned out to be a huge success. Hundreds of participants and attendees showed up on a beautiful spring day to pay tribute to our fallen heroes, donated food to help feed local Veterans, and pushed themselves to complete the 5K, 10K, or challenging 30K Ruck march. 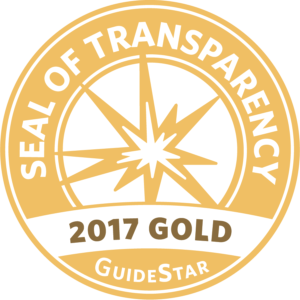 As of 2017, we have donated over 61,000 pounds of food to help feed homeless Veterans! We hold this event for our participants and community, but also for our Veterans—especially our fallen brothers and sisters—to remember their service and ultimate sacrifice. NEW FOR 2018! 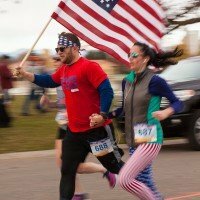 Presented by Charles Schwab and hosted by Colorado Veterans Project, the 1st Annual Freedom 4 Miler (formally the Lone Tree Freedom Race) is a 4-mile & 1-mile fun run showing pride for our country and respect for our Veterans.